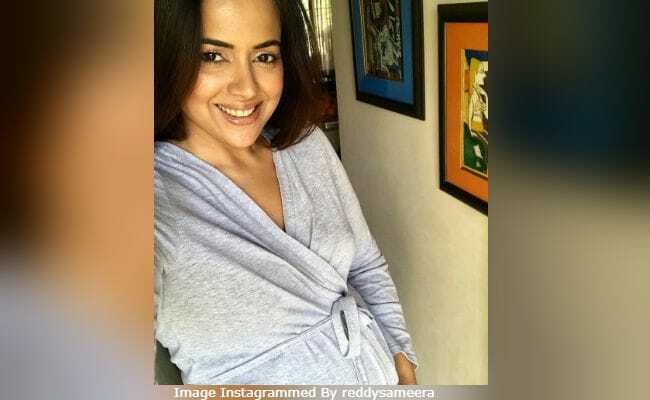 Here's what Sameera Reddy posted on Tuesday. Take a look at what the mom-to-be wore to Lakme Fashion Week. Sameera Reddy married Akshai Varde in January 2014 in Mumbai, after which she quit films. "It is a big change in my life. For me, right now honeymoon period is going on so a little more time would be nice for me (to return to films)," she told news agency IANS. The couple welcomed their first child, a baby boy whom they've named Hans, in 2015. Sameera Reddy, 38, is best-known for her roles in films like Maine Dil Tujhko Diya, Taxi No 9211 and Race. Maine Dil Tujhko Diya, opposite Sohail Khan, was her debut Hindi film. Apart from the aforementioned films, she also has movies such as Darna Mana Hai, De Dana Dan and Aakrosh on her resume. Sameera Reddy has also acted in some Tamil and Telugu films.